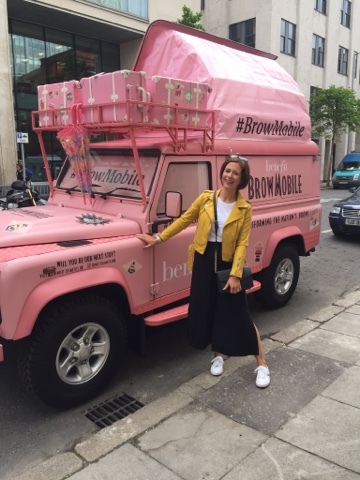 The Benefit Browmobile brings Beautiful Brows to Belfast! 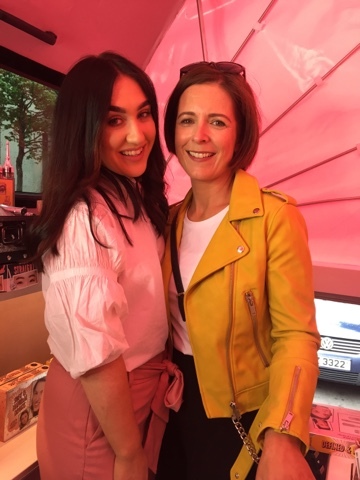 My first event back on the blogging circuit was a little jaunt into visit the Benefit Cosmetics Browmobile which visited Belfast a couple of weeks ago. I would have blogged sooner but I wanted to try out the products I was recommended before telling you more. But first - check out this amazing customised Land Rover (a little different to the Police ones we are so used to seeing in this part of the world!). It's filled with Benefit brow products and the roof expands upwards to make a little brow bar for two people! On the day, my brows were actually not too bad. 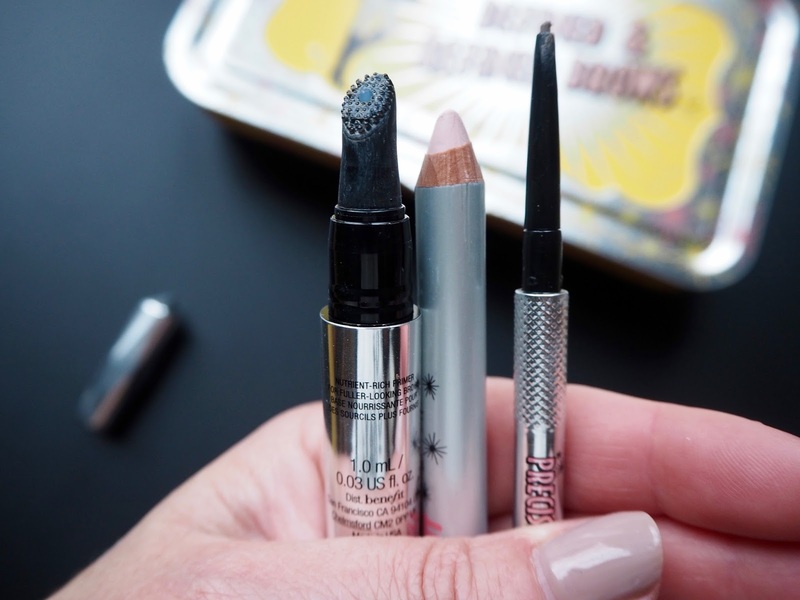 I already use a Benefit brow pencil most days, along with my BPerfect powder. But although the Goof Proof pencil I have is great, it turns out that it's not the best one for my brows. Katie established that I like a more defined brow and so she showed me the Precisely My Brow pencil. Talk about a revelation. It's much easier to use than the Goof Proof (for me) and is a more subtle way to add colour and shape to brows without getting scary mad things over your eyes - which work for many people (and the Goof Proof is the way to go to get a fuller looking brow) but it turns out I'm not really looking for that look. 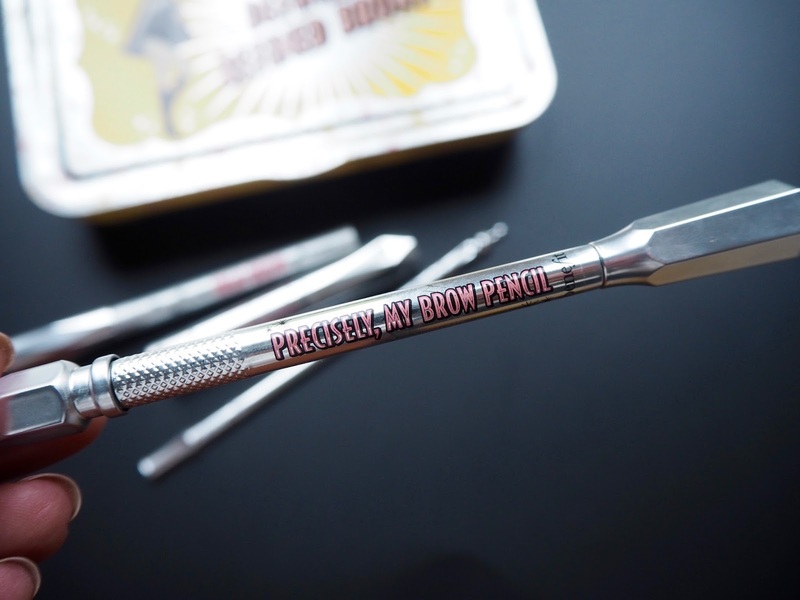 To allow me to try out the pencil at home, I was gifted the Defined and Refined brow kit which is definitely the way to buy Benefit products as you get so much in the kit for just £31.50. 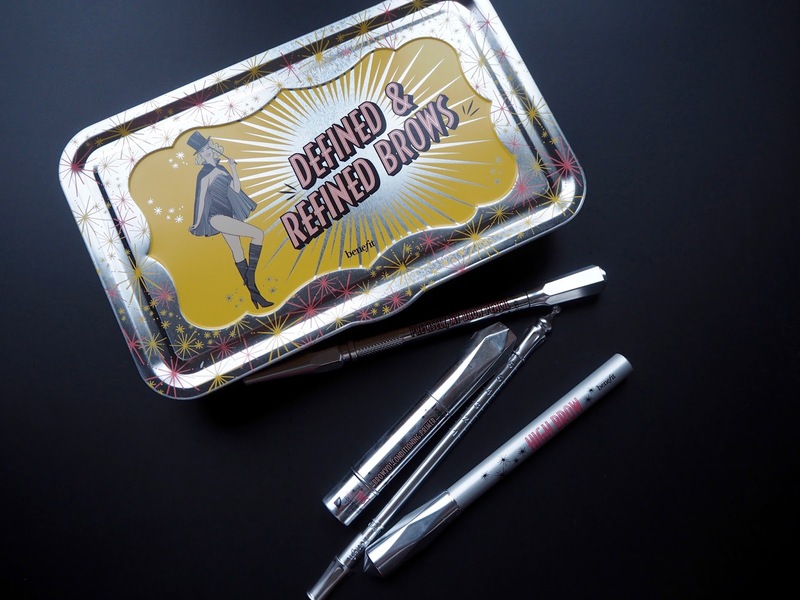 So you're getting about £40 worth of product in a funky and retro looking tin (that I'm now using to store all my brow products). Oh and there's a brow mapping tool included too which is interesting (full instructions included) but it melted my head a bit. I like my brows to look fairly even but I'm not OCD about it. If you are, you might enjoy using this little measuring tool. In terms of how I've got on with the three products, the pencil is a total hit - I love how easy it is to use and the subtle yet defined effect it gives me. It's easy to create a brush stroke effect with it and it's also hard to go wrong as you're adding the colour so gradually. The pointed tip is great too - no sharpening needed and it allows you to be super accurate with the application. 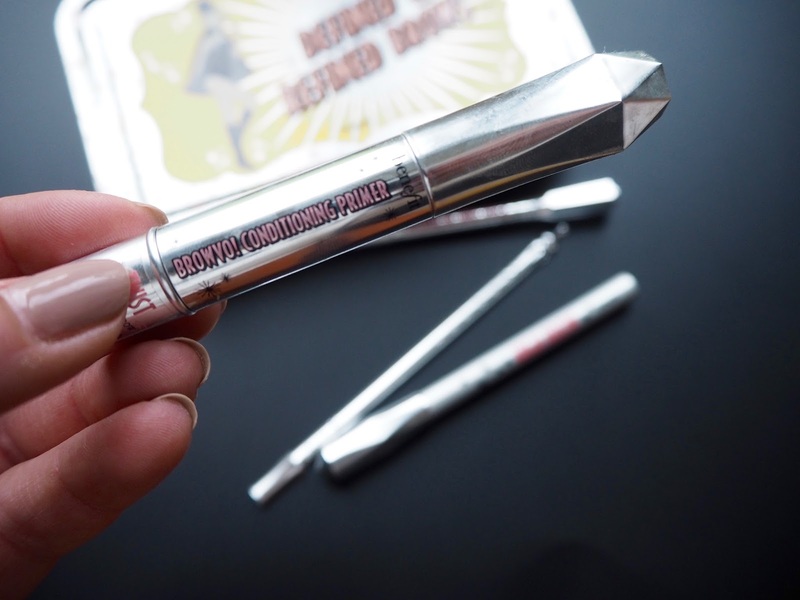 The high brow highlighter was an unexpected hit too. 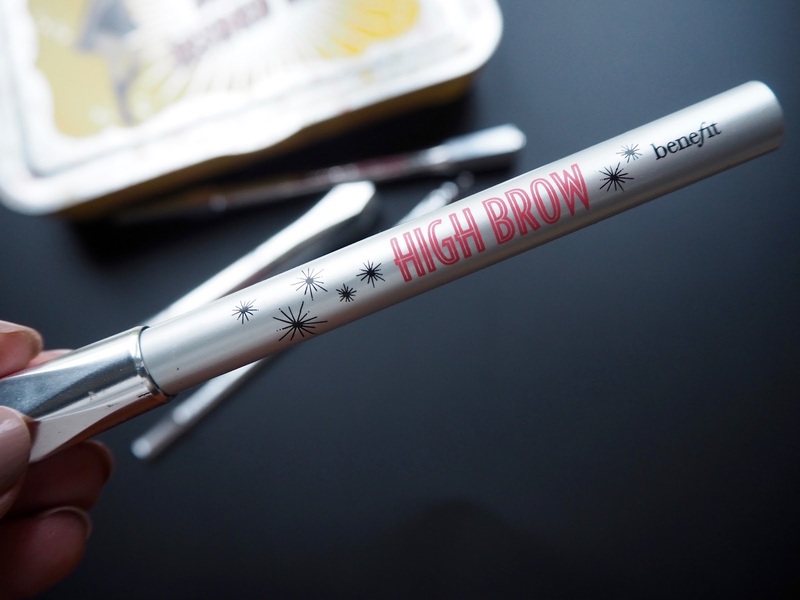 You use it under your brows to highlight the arch and it also is really subtle but effective. I've used a few products like this before and never really rated them but this is one I'd repurchase. It's a bit too early to say about the primer. I'm generally sceptical about these products and also really rubbish at remembering to apply them but I'm doing my best to put this on daily so that I can see if it really does improve brows within 28 days. Watch this space - I will update this blog post with my verdict. Incidentally, there are 6 different colours in the range to suit all brow hair colours & my products are all shade 3. Not all the kits are available in all the colours - you can see the details online here. If you have a Benefit counter near you, I would recommend dropping by to ask their advice. I've been to the Victoria Square House of Fraser counter a few times over the past couple of years and they are always very helpful and not too pushy. Menarys have a Benefit counter in their stores also. 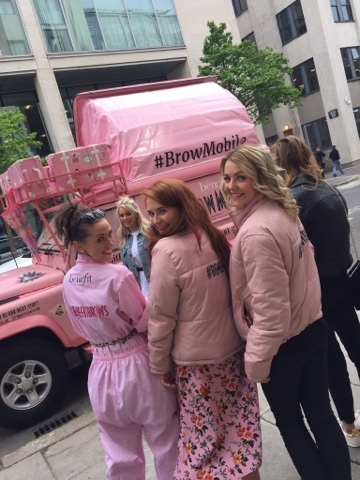 Truth - I was wrecked after the event...the brow mobile looked amazing but it was quite a feat to get in and out of it (even without sciatica!) but it was a real milestone for me to make it into an event and feel like I am back in the groove again! Thanks to Kate, Katie and the rest of the Benefit team for making me feel very special and for giving me epic brows! Disclaimer - I was given the Defined & Refined Brow Kit free of charge to review. I wasn't paid to or obliged to blog about it. I only ever write honest reviews with my own words and I'm not afraid to say if I don't like something. Thank you for supporting the brands that support this blog.